Windsor has grown to be one of the most desirable places to live in Northern Colorado, which is why you choose to call it home. Father & Son Painting is a local Northern Colorado painting company that has served Windsor for more than 30 years with professional residential and commercial painting services! Father & Son Painting has become a staple in Northern Colorado throughout the years. 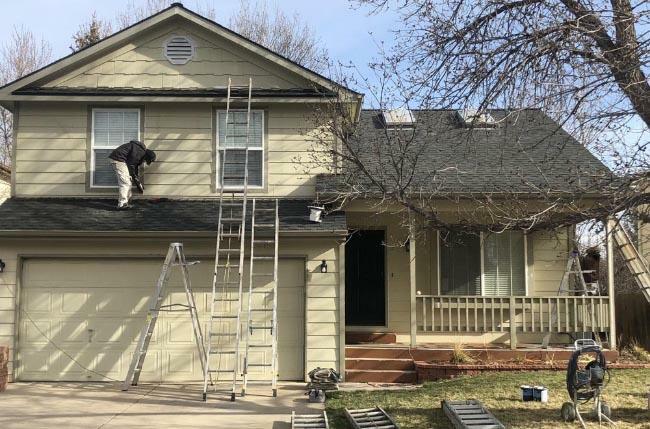 If you’ve driven around Fort Collins, Loveland, or Windsor, chances are you’ve driven by houses, apartments, fences and farms that have been painted by us! We serve all of Northern Colorado from Greeley to Fort Collins and Loveland including all of the space between. Father & Son Painting prides itself on quality above all else, which is why we only use high-quality Diamond Vogel paint for all interior and exterior paint jobs. This paint is extremely durable, colorful, and will stand the test of time. We can match any color that you would like, and can also offer suggestions to improve the lifespan and quality of your painting service. Father & Son Painting is your local paint company in Windsor, CO! If you have any questions about our services, hours, or rates call us at (970) 225-0968 or fill out the contact form.